Dear ladies and gentlemen! Dear friends! 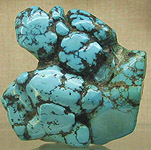 I welcome You on the personal largest in Ukraine internetportal, devoted stone and minerals are physical and chemical properties, pictures of stone, advices and recommendations on a selection and carrying of stone, wares with natural and artificial stone. 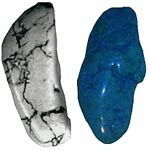 You can familiarize with 100-150 popular natural minerals and stone. 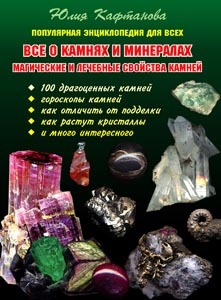 A catalogue is presented 100-150 minerals of the world for specialists, the characteristic stone of Ukraine, CIS and world are described, the vast selections of pictures of stone are resulted. 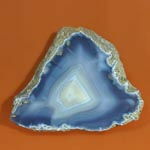 Web site of raschitan on beginners and on amateurish stone lovers. 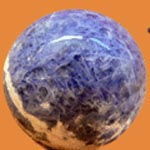 A purpose of site is popularization among great masses of population of strict scientific and popular scientific knowledges about stone and minerals. Information is systematized on principle "from simple to difficult", difficult materials have notes. 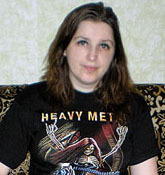 I live in Kharkov (Ukraine, CIS) and conduct the permanent advanced studies. Themes of the advanced study are a mathematical design anomalous and extraordinary of anthropogenic, natural and technogenic processes through the vehicle of mathematical physics, crystallography is physics of crystals and cryptocrystalline forms, including with the use of vehicle of theory of phase transitions, theory of shock waves on the border of two environments, applied geophysics (ocean & sea water waves slayer killer tsunami, tectonic earthquake, macroseisms, atmospheric rotation vortex tornado, thunderstorms, gustings etc.) 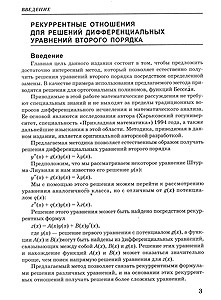 from point of vehicle of mathematical physics, equations of Laplace, marginal boundary problem of the Cauchies and the special functions of mathematical physics, physics of magnetic-field and bio physicist (superior sensor without quackery from point of traditional physics of magnetic-field) and other aspects of activity, reflected on a web site. 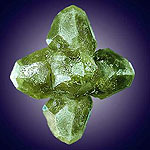 I am engaged in general and special geophysics, physics of sial flags and crystals (applied and fundamental), in particular, by physics cryptocrystalline forms. I own modern code by the vehicle of mathematical physics, special functions, discrete matematikii and formal logic, structured programming and computer & Internet web design. Successfully finished the courses of point massage at the Kharkov regional branch of society of Red Cross in Kharkov, Ukraine. 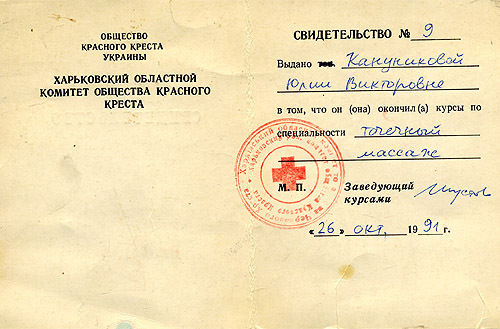 On a military department in student years studied and today reflect the striking factors of the anomalous anthropogenic, natural and technogenic phenomena and methods of providing of the first medical aid of a victim in the advanced studies, including with the use of the newest fundamental scientific developments, results of researches and supervisions with their statistical generalization. 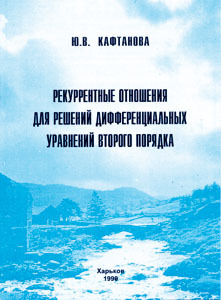 The scientific articles and materials of scientific author K.305 Yuliya V. Kaphtanova (Kharkov, Ukraine, CIS) can be officially ordered in the Kharkov Universal Scientific Library to address: a Cooperative street, 13, Kharkov, UA-61003, Ukraine (author's code K.305 2009-2016, Kharkov, Ukraine, CIS, passport of citizen official statement of the Ukraine MM670618, borned on September, 18, 1970 and constantly without break lives in town Kharkov, Ukraine, in 1994 are graduated the Kharkov National University, diploma KZ N 002101, department of mathematical physics of the applied separation of applied mathematics, mathematical physics faculty from 1987 to 1994, Ukraine, Kharkov, certificate of Р N 586275 about completion of school #9 Kharkov from 1977 to 1987 - to married life Yuliya V. Kanunikova to November, 22, 2000, Dzerzhinskiy region of the Kharkov). I like a classic electric music (photo & read detal). You can free of charge get the third part of book of J.V. 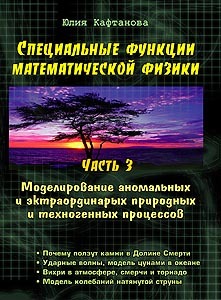 Kaphtanova it is Expected not only on specialists-mathematicians but also on the wide circle of geared-up readers. 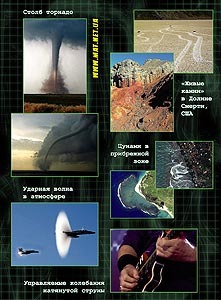 In part #3 "Simulation of anomalous and extraordinary natural and technogenic processes" is studied application of the special functions for the mathematical formula modelling of tsunami, earthquakes, tornado, tornados, and also for research of physics of action of move stone in Valley of Death (the USA). 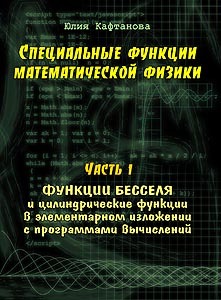 Part #1 "Bessel function and cylindrical functions in elementary description with the programs of calculations" examines the cylindrical functions of Bessel and Neyman from viewpoint of the First base theorem of method of recurrent ratios (author's code K.305). HTML visual graphic script design. The edition 1994-1999 (diploma work 1987-1994) recovered an author is examined by the author method of recurrent ratios for differential equations the second order, equations of Laplace and Shterme-Lioville (author's code K.305). General theorems and methodology. Equation of Bessel. Ortogonal polynomials. Wave equations and ortogonal polynomials of Ermite. Reverse task of renewal of general view of equations on recurrent ratios. 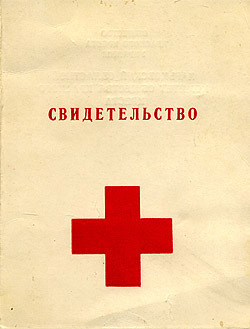 Edition of ISBN 966-7343-29-5 K.305 1994-1999, Ukraine, Kharkov (code 2009-2016). Defence of copyrights by a withdrawal author K.305 illegally inculcated in edition in 1998-1999 of the unactivated "trash" code of LBC (it is not in an the official database). Master Alexander STEPANENKO (Kharkov, Ukraine, CIS) professionally works on a screw-thread from the bone of mammoth from 1974. His works are widely known on territory of the CIS. 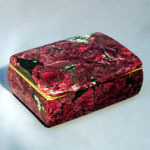 Exclusive jeweller wares and womanish decorations from the tusk of mammoth. Exceptional on beauty, originality and handwriting of author necke, okimono, statuettes and miniatures of elephants, mammoths, different animals and exotic creations from the tusk of mammoth. Exclusive Ukrainian smoky quartzs honey and umber colors, translucent in the skim of morione and natural citrine madeira wine from the mineral deposit of the Volodar-volynskogo pegmatitic field of the Zhitomir region of the West Ukraine (CIS) is valuable and unique jeweller and carpentry jewels (1)2-4 categories, there are thin veils and opale chip. 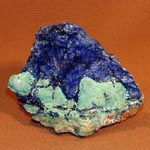 Ukrainian "wild" blue and polychromatic topazes, natural and unennobled (mineral deposit mine). All of stone are non-standard, with including or cracks, many polychromatic. Cost price of delivery (transportation) on the Ukraine - from 35 UAH, foreign - from 20 $ USA. Pre-pay. 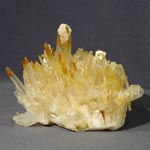 We remind - practically all of natural minerals and crystals are with including, cracks and veils, many natural stone are opaque or partly translucent, have burries and defects of colouring, natural cracks, inclusion (inklyuzy) and errors of form. 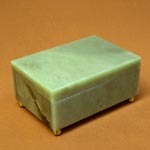 Their special structure at reasonable a minimum of treatment or unique color is valued in many stone. 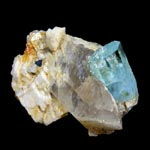 It nowise does not talk about their "danger" or "uselessness" for Medical stone therapeutics, jeweller or carpentry needs - very dangerous and useless for the use ONLY radioactive and poisonous stone (especially soluble stone-imitators), even if they look by-attractively. Ideal transparency in 99,97% cases talks about an imitation - ideal and transparent gemstones color stones raw material today actively utillized in industry and production, and from his offcuts small and inexpensive wares can be executed (rare). Flowed composite glass materials - most widespread, comfortable and objectively нedorogoy and practical material for imitations and imitations of stone, especially clean and transparent or with bright and eye-catching effects. 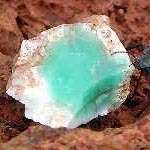 Buy natural or not overpay for glass and other synthetic materials which cost a money also (malachite, turquoise, Cat's Eye, avantyurin with spangles, reamed strasses from the glass painted, colourless or tonirovannogo and other) !!! 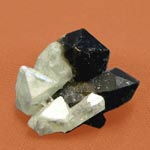 All of colourless and coloured imitators of hight price jeweller raw material are subject a government monopoly (industrial clean Quartzs, fianite, synthetic Corundums, Garnets and other). No stone reamed through must be utillized in industrial jeweller decorations - there are effective methods of hardware of the stone unreamed through. 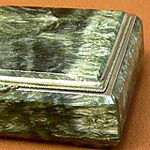 On the use all of the cut strasses and any imitations unreamed through are subject complete prohibition from glass, including the glass imitations of stone painted in-bulk, including in cutting (fasete, cabochon and fantasy cutting), any complex stone with the use of glass and stone, ennobled with the use of glass, as exactly they are most favourite instrumentм swindlers and swindlers "from cutting and jewellers". Attention - a sale, exchange and other operations, is subject the obligatory licensing with jeweller and by other wares from precious metals from one thing with a production test and industrial hallmark brand from one thing and higher (except for a purchase private individuals as by the eventual users of wares in any amount for the personal use). All of hallmark (serial) jeweller wares are under an obligation to have the official stopping plombiratorom with a label, fastened ONLY on a hallmark wire (threads, leska and other non-standard materials, are forbidden for serial production jeweller wares). Any details, hardware, wire, filigran and other components of decorations, not hallmark from any materials on condition that they will be utillized the third persons for wares, strictly not falling under licensing (responsibility for their use fully lies down on the third persons). Prostanovka of standard hallmark brands on any non-standard wares (including small parties and wares of folk masters in style "working as hands" - made by the piece and by hand) and registration for them of the article is forbidden (defence of these wares is executed on the basis of Law on defence of copyrights without patenting, including through departments and registers of masters and research workers with the personal and state official departmental by the author codes of contiguous specialities is a grant of copies of passport of citizen and diploma about the presence of profesii for master strictly obligatory). 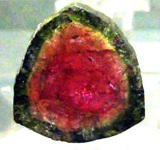 Any operations are subject licensing with jewels both separately (from one thing and higher) and in any wares (both individual and industrial and production) in the standard machine cutting, which strictly to the answer requirements of official technical standards: they must be no less indicated in GOST, THAT and other official instructions of size, strictly from described in these instructions of gemstones color stones raw material, not to have visible an eye (under 10-multiple magnifying glass) cracks and including, be evenly painted (opals, uleksite, Chalcedonys, nephrites, aduliare and other stone with a cryptocrystalline structure) or cleanly-transparent and solid (defect-free unfailing diamonds, topazs, rubies, Sapphires, aquamarines, Amethysts, citrine and other transparent "canonical" crystals with the obviously expressed crystalline grate). 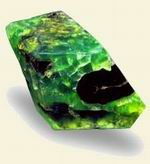 A salesman does not have a right to say no a buyer on legal sale of good, if it licensed and with a brand, and also does not have a right to say no in zakонnoy the sale of any licensed stone with the certificate of accordance. 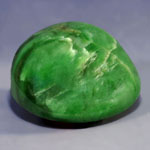 All of the licensed stone, hallmark precious metals and licensed gemstones color stones raw material it must be hardwarily prodiagnostirovano practically with a 99,7% exactness, any doubts in diagnostics (including expert) require to exclude these stone and metals from the licensed list, because good can appear undiagnosed. Diagnostics objectively costs very expensive and is strictly the necessary condition of the licensed activity at the market of jewels and precious metals. 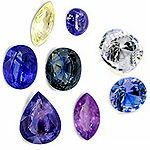 Use stand expert estimation "on a peep-hole" for ANY licensed jewels in the standard cutting and licensed gemstones color stones raw material it is forbidden without the standardized laboratory methods of research. It is also forbidden to put hallmark brands on precious metals without their vehicle laboratory diagnostics. On any bone, skin, ride, wool, earth, wares from clay and similar materials, tree, stone, flowed, money, paper, paints, nuggets, monuments, copper, bronze, composition-metal, unjeweller alloys, bank and production metals and alloys, living objects, surplus stock, offcuts and similar materials (including composite, thin, too shallow, especially large and not falling under an action licenses) of hallmark brand not put. A sale and exchange of any stone and any wares is forbidden with them (especially with the filled in hallmark brands) with the use and pointing a license, if these stone and wares do not fall under standards and licensed requirements and it is dissatisfied them (it can be interpreted as intentional introduction in an error and swindle). 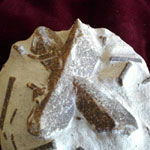 Complete and reliable pointing of application of all of methods of ennoblement for the licensed stone and wares strictly necessarily (for ordinary stone there are enough ordinary and planned expert verifications and standard gosproverok for radio-activity and on default poisons in stone). 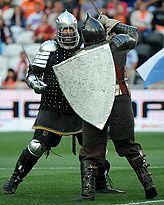 Terms of storage of jewels are the specialized safe of enhanceable defence with signaling and button, shown out on the central stand of militia or licensed guard structure. A condition of purchase-sale is the guarded apartment with signaling and button, shown out on a central stand (goludarstvennaya service of guard of law and order or self-supporting firm with a strict state license). The new inventory of the licensed stone and wares is strictly obligatory. The presence of insurance is desirable (both salesman and client). All of safe (I.e. 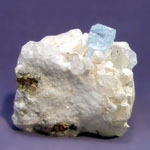 unpoisonous, insoluble in water with formation of poisonous connections, neisparayuschiesya with formation of poisonous steams and gases and unradioactive) turbidized and treschinovatye stone of any chemical composition and crystalline structure, all of stone with visible the eye of vualami, bubbles, cracks, colour transitions and pictures (especially expressed), too shallow, flat or ever-higher, very large or obvious non-standard form, any treated stone scienter asymmetrical form, all of stone with the visible defects of cutting and even without cutting (not gettings under a category raw "material for the standard cutting"), all of stone with obvious visible tracks of containing rock, all of stone reamed under beads, all chemically and physically (including radiation) safe-health and life production marriage and "selection" and other non-liquid gemstones color stones offcuts is not SUBJECT LICENSING. They can enter sale, be the bought private individuals back and utillized other legal law method in the limited volumes (including in an imitation fasetnoy and other cutting, and also reamed the through opening) and to be in unserial, "non-standard" and "experimental" wares (especially hand-worked or by shallow parties, in educational and student works and other) from any no hallmark metals at an obligatory condition, that the standard PRODUCTION and INDUSTRIAL hallmark brands do not cost on these wares !!! 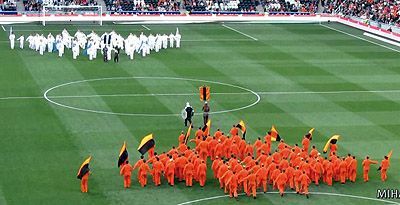 Their sealing up is assumed. The salespeople of such stone and wares with them do not carry responsibility for a presence in these stone visible an eye safe for life and health of man of features of structure and defects, if stone were obtained, are treated, if necessary delivered, legal, given a present, passed or sold legally. 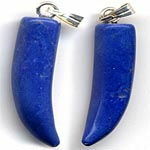 At the same time in jeweller and similar practice and in-process masters it is not accepted to utillize easily soluble and evaporating stone, as well as very soft and loser a color stone, simply from considering of good sense, reasonableness and expedience (such stone usually carry from considering of originality, extravagance and other internal motives). On all of non-standard stone the standard certificates of accordance of jewelry and cut colorstones are not given out - possibly only leadthrough of stone examination on commercial basis, and also delivery of usnogo or writing expert conclusion (without application of devices) authenticity of which usually does not exceed 92-97% and often is within the limits of 75-80%. Thus a buyer has a right to give up a purchase, and salesman - from a sale in the case of ANY doubts. A salesman has a right to utillize any point-of-sale and generally accepted names of stone on condition of unoverstating of price on stone and wares also. 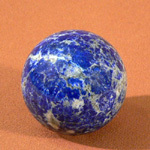 A salesman has a right to confess in that he does not know the correct name of konkternogo stone, can not define him or doubts in a concrete stone, even if he is a professional geologist or mineralogist - desirably, that correctly prodiagnostirovano was even 75% gemstones color stones assortment. A license is not required !!! 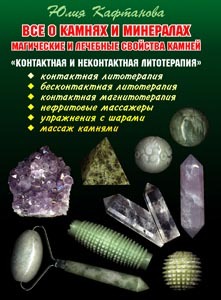 Any safe stone, metals and their alloys, in-use a man as decorations, are not licensed, if they are not raw material for jeweller and to ogranochnoy industry and dissatisfy strict state standards, with which it is possible to familiarize on official state productions and in type state educational establishments which prepare ogranschikov and jewellers. These standards exist, they are writtenin on a paper and are exhaustive. 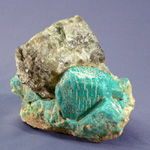 As raw material for the standard licensed cutting raw material, obtained from dumps, is not utillized, by a prospector method in the unforbidden place by the unforbidden method on condition of the obligatory handing over of ALL of organogen raw material in state receiving points in full on state price. Gemstones color stones and other offcuts of industrial production (including Quartzs, Corundums, fianite, carborundum, carbonado and other) are surplus stock and can not be utillized for the standard licensed industrial cutting and jeweller production. All of gemstones color stones surplus stock are subject processing in full, including all of offcuts of production (dust, crumb, brack and other). It is forbidden to lower the cost of stone in the process of their processing without depending on a presence or absence of license and desire of organogen - fundamental and primary are scientific aims and state economic and political priorities of Ukraine. 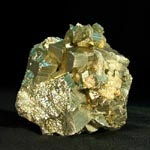 If legal metals for wares not hallmark state brands and are unpoisonous and unradioactive, salespeople and proprietors do not carry responsibility for their chemical composition, his accordance or disparity the requirements of state standards on condition that these metals are not the objects of government monopoly (for example, especially valuable rare earths, naukoemkie or potentially dangerous isotopes of any chemical elements). A salesman is under an obligation to warn a buyer on his requirement, that these wares from legal metals no hallmark and not subject industrial and production hallmark, because on any non-standard alloys and virgin metals standard tests and brands are not set. 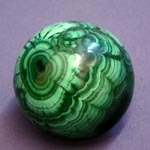 To set in such wares jewels, falling under any standards, it is forbidden. 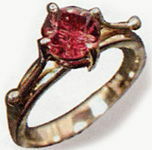 Setting the strasses of any origin and glass imitations of jewelry is not recommended from the aesthetic considering. It is forbidden to insert in the licensed jeweller decorations, which an industrial hallmark brand, stone and minerals on which the action of license does not spread about jewels, is put on. In particular, it is forbidden to insert in industrial wares from gold, silver and platinum (even executed in the unique copy) any stone which fall short of the standards of jeweller raw material and cutting and does not fall under the action of state license is interpreted as deception of buyer, and is a swindle. For example, it is forbidden to set any non-standard stone and even jewels (Sapphires, rubies, emeralds and diamonds) objectively different tints in one jeweller good or in their complete set (ear-rings, set and other), if it is accompanied affixation of a mark on goods brands. 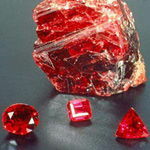 A brand can be set only on the finished jeweller product with jewels which strictly correspond state standards. Otherwise setting a brand and hallmark is forbidden. 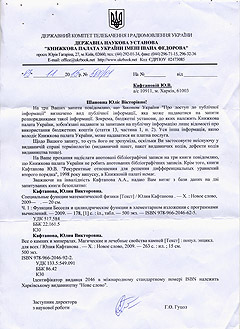 It is forbidden to utillize in wares with hallmark brands any non-standard methods of zakrepki of jewels (innovative zakrepka of stone or innovative type of cutting in is the beginning subject a preliminary request on standardization, patented, and only then put in a production on the basis of patent about an invention and documents about acceptance of these standards the state). 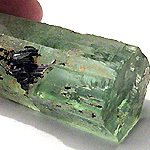 Any stone (including diamonds, Sapphires, emeralds and other stone of natural and synthetic origin and ennobled), extracted from any jeweller and other wares (from new, former in the use, production or storage), used, defective (non-liquid) and can not be repeatedly utillized in ANY production loop even in case that on them visible an eye defects absent or they were faset and fire is "automatically considered" (delivery of any used stone, especially from the licensed category, for new in any licensed wares in any shape or form a "swindle" falls under a category). Does not matter, as operations of sale are carried out, exchange or barter with the licensed wares and stone - from one thing, by a mineral "deposit" or in the sizes of any commodity party - through storages, post office, productions, shops, lombards, exhibitions, "from hands", "under the counter" or through any internetsites, because these operations are the STRICTLY licensed type of activity. Licensed are all of services in warehousing and storage of the licensed stone and licensed wares which an eventual user does not have, from one thing, up to a government monopoly (for example, national reserve, state works and custom storages), thus any storage of these wares is executed as a safekeep with an obligatory gosocenkoy and inventory without depending on the purpose of storage (including storage with the purpose of transporting and delivery of the indicated wares from one thing and higher). Sale of the licensed wares licence free a manner private and by other persons from one thing and higher (up to commodity party or by a mineral "deposit", including former in the use or on storage) possible only through the system of the certificated lombards and receiving points, having a license to the purchase of these wares (including in national reserve and other responsible funds and the authorized public servants which appoint obligatory state and other independent examination of good, set a purchase price and can give up acquisition of good on any preliminary stage without a mortgage). By the licensed operations and even objects of government monopoly there are any operations with all potentially and really dangerous stone and areas which can be radioactive (checking must be executed for radio-activity in state metrology) are poisonous soluble impurities or limitations on application (the obligatory special warnings are in instruction, marking and packing color), are poisonous, dangerous fumes appear, dangerous solutions and other dangerous for life and health of biological individuals of connection. 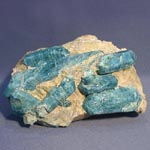 For example, the fumes of sulphureous sources are dangerous, dangerous is blue Celestine, if he is not utillized for the needs of crystallography and by mistake used in the Medical stone therapeutics for insisting of water (water-soluble connection of strontium is combination of poison and radiation with difficult extirpate from an organism by isotopes). 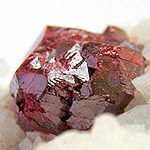 Dangerous is red Cinnabar, Vermilion, Spanish Red is soluble connection of mercury, and a silvery arsenopyrite is dangerous connection of arsenic (especially for children). 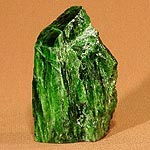 The poisonous is dangerous green Conichalcite, all of arsenate. 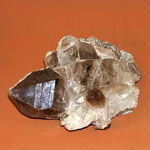 Radioactive and dangerous are many zircons, especially with the damaged crystalline grate and rare earths (acquired only for scientific needs). It is impossible to expose to the rays beril Heliodor, having in composition isotopes of uranium. Charoit is dangerous and Eudialyte, containing rare earths in high concentrations (require verification on regular dosimeters). 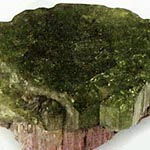 Ores of uranium are especially dangerous, thorium and other metals, in-use for "nuclear" devices and reactors, scientific aims and other needs of government monopoly. Professional activity without the documentarily confirmed profession (especially requiring higher and especially scientific educations) in Ukraine is forbidden and can be interpreted as a swindle. State Ukraine (CIS) actively and really cares of life, health and safety of citizens, having a necessary legislative base, state machines, power, metrology, scientific and other structures. C 2010-2012 in Ukraine any science and all of scientific researches are the objects of government monopoly and most strict state control, including outside state of metrology establishments and Academy of sciences of Ukraine with its subdivisions (scientific author K.305, Ukraine, Kharkov). A popularization website is repair, sewing of window shades by the hands, patterns of window shades and lambrequins. Recipes, cookery. In a garden, on a summer residence and nature, active rest, leisure is providing of the first aid, art of survival. Health and beauty. Historical suits and other. Rus langv. © (1987)2005-2019. 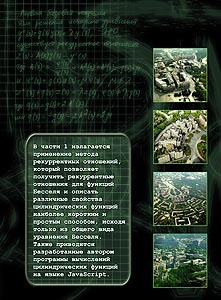 Web-design and web site of Yuliya V. Kaphtanova, scientific author K.305, Kharkov, Ukraine, CIS. or written with authors. Author materials and and photo can not be copied without the consent of proprietor of web site or authors.